Is The Exercise Bike Effective Against cellulite? What is The Best Mini Bicycle Pump For You? Electric Bike 48V 500W Motor, Fat tire Electric Bicycle, Front Suspension..
A bicycle backpack offers convenience, comfort and makes a bike ride a lot easier. Enjoyment is guaranteed because you have everything at hand. Mountain biking backpack, cycling or long-distance cycling, these are activities where you sweat a lot. Especially in the summer season, a good bike ride can ask a lot of your ‘water tank’. It is therefore wise to stay well hydrated. An easy drinking system is therefore indispensable. 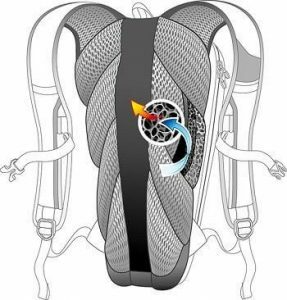 You can purchase a bicycle backpack with and without built-in hydration system. A handy portable hydration system is a camel tray. A camel container is a very user-friendly and leak-free hydration system. It is a large water bag with a drinking tube attached to it. This water bag can be put in a separate compartment in your bike backpack. You can bring out the drinking tube through a so-called ‘drinking hole’ in your bag. So you always have water at your fingertips anywhere and everywhere. A camel backpack is available in two sizes. You have a 2-liter camel container and a 3-liter camel container. How long your average bike ride lasts, how much you sweat and in which season you train will influence which camel container is right for you. Keep in mind that you carry the weight on your back. 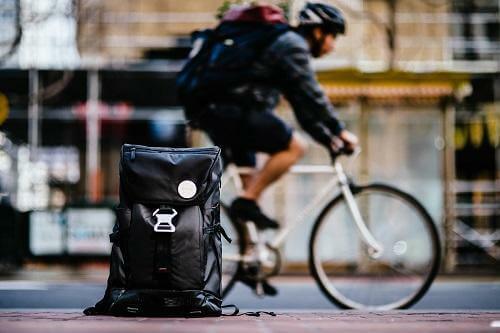 What should you pay attention to when you buy a bike backpack? When buying a bike backpack, there are several things to look out for. In order to prevent you from getting a bad buy, various aspects follow here. On the basis of these aspects, you can clearly outline your wishes and requirements. Are you finding a lot of forest paths and disproportionate paths with your mountain bike? Or are you mostly on tight cycle paths with your bicycle? The answer to this is of great importance for the bicycle backpack that you eventually purchase. Cyclists strive for speed. The distances often have to be covered within a certain time. A large backpack will affect the speed in a negative way. That is why cyclists often opt for smaller bicycle pick-up bags. As mentioned, a hydration system is of unprecedented value. 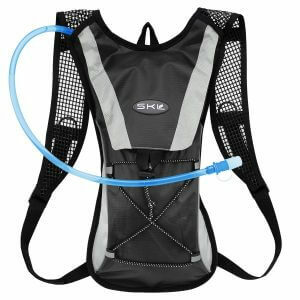 It is good to think beforehand what kind of hydration system you want. You can choose to just work with bottles of water, but experience shows that a built-in hydration system is easier and more convenient. During long journeys you can keep drinking well and you do not have to make a stop for every nip. If you want to use a hydration system, such as a camel container, then you also have to think carefully about the contents of the water reservoir. The choice depends on how long you want to cycle, in which temperature you cycle and what weight you want on your back. Are you also in the rain, in the mud and with a strong wind on your bike? Then you do not want your things to get wet in your bag. In this case, a Waterproof bicycle backpack is important. You can protect the contents of your bag extra well with a rain cover. In the rainy days, it is actually handy to have a spatter-proof copy. A shower is always lurking and you can better be prepared. A ventilating bicycle backpack is always advisable. Even if you ride in the winter, you get warm and start sweating. The sweat can be better than being rich. In the winter the sweat can dry up, making you much more susceptible to a cold. In the summer a sticky body is also not nice. Therefore choose a backpack that is provided with back ventilation. As indicated, a bicycle backpack offers golden opportunities to bring important items. Prepare the road well prepared and make sure that your bike backpack offers sufficient space for essential parts. Depending on the amount of stuff you want to store, it is good to look at the number of storage compartments. When you are on the road for a long time, it is wise to have a lot of storage compartments. For example, your first aid kit, repair materials, food, drinks and your wet clothes. The most important thing is of course that a bicycle rucksack has to sit on your back carefree. The best thing is when the bag is adjustable so that you can fully tune the bag to your body. Make sure you fit the bike backpack well. The best thing is if you take a test drive. A bag on your back on the bike feels different than when you just walk around. The weight must be divided equally. For example, the center of gravity may not be in one place. Whether you are climbing, hiking or cycling, this multifunctional backpack is just right. The bag has a weight of only 0.407 kilograms and is therefore slightly on the back. The water system has a capacity of 2 liters. The multiple parts ensure that you can store various items in a structured way. Where can you use a bike backpack? A bicycle backpack is multifunctional and actually indispensable when you cycle a lot and for a long time. You can take everything with you in a backpack. The benefits are infinite. You should not think that you are 100 kilometers away from your home, get a flat tire and have no stuff with you. With a bicycle backpack you can easily take a plak set, an extra tire and a small bicycle pump. A soft tire is quickly inflated and you have replaced a blowout tire in no time. When you cycle hard, a great demand is made on your energy transport. You burn calories at lightning speed, and you also sweat a lot. That is why it is important to eat and drink enough. With a bicycle backpack you can easily bring food and drinks. You can pack compact nutritious food, such as energy bars, chocolate and dextro. With a Camelbak you can easily bring drinks. An accident is in a small corner, and the risk of accidents increases, especially on the bicycle. A fall over the threshold, a collision with a car or slipping over a wet road. An accident happened that way. It does not always have to be serious, but with a first aid kit with you in your bag you are well prepared for the common accidents, such as a scrape. Your mobile will quickly empty with bicycles. You keep track of your activity with Strava or any other sports program. 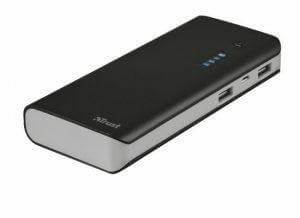 Having a power bank in your pocket is therefore very useful. With a bicycle backpack you can easily take your power bank and provide your phone with a full battery during your bike ride. Conclusion – Whether or not to buy a bicycle backpack? Whether you like to cycle long distances or take pleasure in a round trip through the forest, a cycling backpack is just practical. You can always bring first aid items, so you can treat wounds immediately. You also have repair stuff and drinks. The disadvantages do not outweigh the benefits. Yes, it is extra weight on your back, but you can get better prepared on the road. Especially if you go out for a few hours. Do you have experience with a bicycle backpack? Would you recommend the other riders or do not recommend it? We would love to hear your opinion! Bikeaddicts.net is a participant in the Amazon Services LLC Associates Program, an affiliate advertising program designed to provide a means for sites to earn advertising fees by advertising and linking to Amazon.com. Amazon, the Amazon logo, AmazonSupply, and the AmazonSupply logo are trademarks of Amazon.com, Inc. or its affiliates. 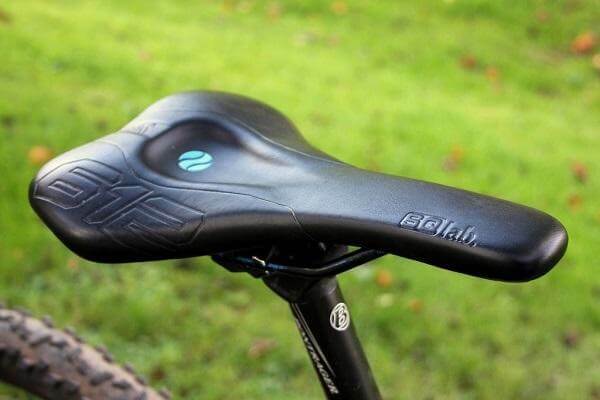 Bikeaddicts is a collection of bicycles and bike accessories. It covers up pretty much everything you need to start your cycling journey.